Rare Disease Day is held the last day of February each year and is the occasion to raise awareness for rare diseases. The day is coordinated by EURORDIS. On and around this day hundreds of patient organisations from more than 70 countries and regions worldwide are planning awareness-raising activities around the slogan “Join Together for Better Care”. 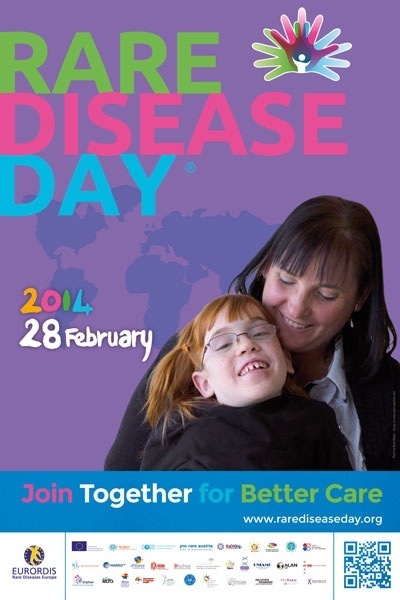 Please go to Rare Disease Day website to learn about the events taking place round the world. Lets join together for better care. You can also find information on facebook and twitter.